Do you resolve to eat healthier each New Year, only to find yourself falling back into the same old eating patterns again and again? I understand, because I’ve been there! I’ll be honest, for years I struggled to eat healthy, because frankly, I wasn’t sure what “eating healthy” really meant. I simply had no clue as to what foods would help to nourish my body and which foods might be creating setbacks in my health. It wasn’t until I became very ill with two autoimmune conditions that I began to realize that taking care of myself by eating healthier was the key to not only helping my body to heal, but it’s also been the secret to enhancing my overall well-being – in other words, improving my mood and energy levels too! If I would’ve known back then what I know now, I would have immediately completed the Whole30. The reason I say this is because after completing and leading a half-dozen Whole30 challenges, I’m absolutely convinced that this free nutritional program can help people to discover improved health by helping them to begin the process of discovering which foods are beneficial and which foods may be contributing to poor health. What is Whole30? And why take the 30-day challenge? 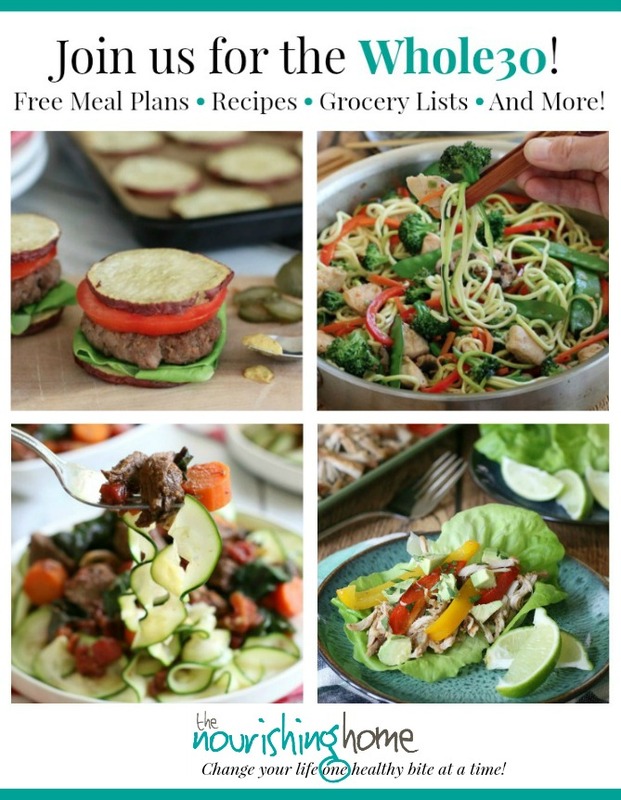 The Whole30 is a FREE whole food based nutritional program (developed by New York Times best selling authors Melissa and Dallas Hartwig) that will help you jumpstart your health and get started (or make better progress) on your healthy living journey. That’s because Whole30 shows you how to nourish your body with pure real foods while eliminating the most common problematic (and typically less nutrient-dense) foods. It’s a great way to detox from processed foods and also from potential food allergens that you may not even know you’re sensitive to. And for those of you, like me, who may be suffering from chronic health issues – or suspect that food allergies or sensitivities may be impacting your health – the Whole30 program can truly be life changing! Help you to begin to identify potentially problematic foods that may be sabotaging your health. One of the biggest reasons I recommend the Whole30 program is because it’s based on a real food lifestyle that aims at helping individuals to develop a personalized approach to their diet. It isn’t a one-diet-fits-all program. 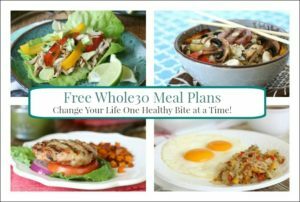 Instead Whole30 helps you to discover what foods work best for your body and which foods do not based on your unique body and health issues. By doing the Whole30, I’ve discovered several food groups that are problematic for me personally. As a result, this invaluable knowledge has helped me to experience a significant improvement in my health and wellness. In addition, I’ve not only witnessed amazing changes with my own personal health, I’ve heard countless testimonies from reader-friends (who’ve taken The Whole30 Challenge with me) about how this program has impacted their health for the better too. 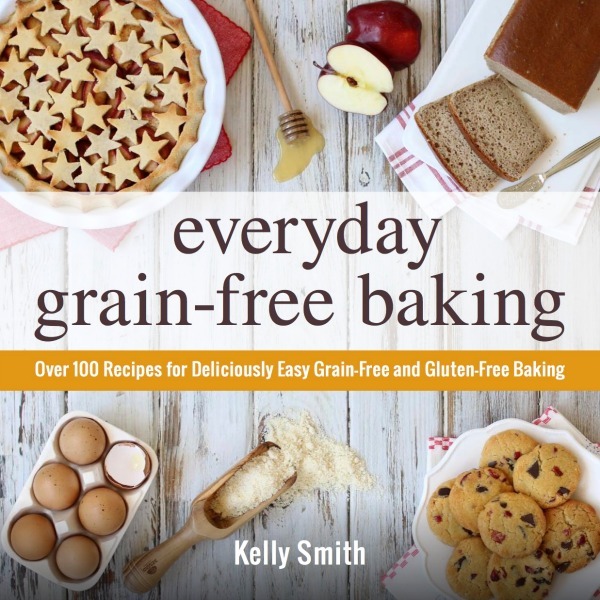 Making the Whole30 easier and more delicious! To make it even easier to experience the incredible health benefits of Whole30, I’ve created The Ultimate Whole30 Success Guide with a wealth of FREE Whole30 recipes, meal plans, resources and support to make your 30-day journey a whole lot easier and more delicious. So if you’re interested in seeing what Whole30 can do for you, then I’d love to have you join me! Discover what “healthy eating” means for YOU! Back to that New Year’s resolution thing … if you’ve been struggling to find the right whole food diet to address your own personal health concerns, then I encourage you to make the commitment to make your healthy a priority for 30 days with the Whole30. You’ll not only learn how to nourish your body with wholesome real foods, but also begin the journey of discovering what foods may be creating setbacks in your health, and the health of your family members. That’s why I’m such a huge proponent of Whole30 and have made it my mission to help as many people as possible to experience this life-changing program. If you’re still reading this, chances are you’re serious about wanting to take charge of your health. I want to encourage you to go ahead and make the commitment to join us for this 30-day life-changing whole food journey. Everything you need to know to get started is right here in this post, so please take a look at the program and prayerfully consider joining us. I know you’ll be glad you did! Wishing you a healthy and blessed New Year! Please note: I am not a healthcare professional, therefore this post is not intended to replace the advice of a physician. As noted in my disclaimer, I always recommend partnering with a trusted healthcare professional for optimal health and wellness. I am really enjoying your whole 30 posts. We are making the cottage pie today. Thank you!